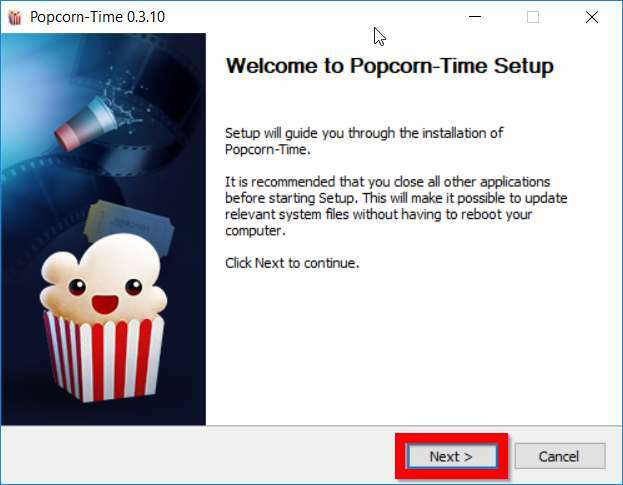 This complete tutorial shows you how to setup the Popcorn Time Windows app. 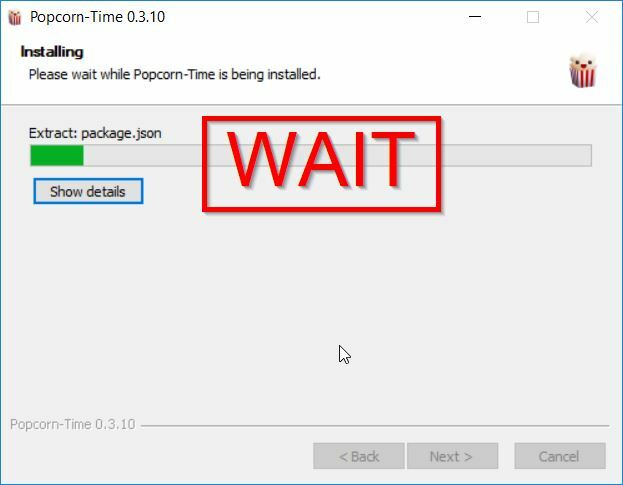 To install Popcorn Time for Windows, basically just download and run the (free) PopcornTime installer from https://popcorntime.sh. If the Popcorn Time website is unavailable, enter the address http://bit.ly/ptwindows into your web browser. 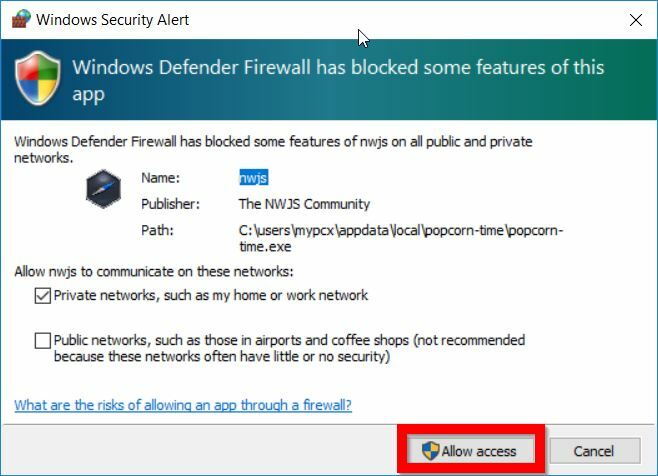 Then you will see a popup which asks if you want to allow Popcorn Time to access the network. Click “Allow access” when you see this. Now the Popcorn Time Windows app will launch. Then the app displays two button: “I Accept” or “Leave”. Click “I Accept”. You’re done! Now you see the Popcorn Time homescreen (aka “main menu”). 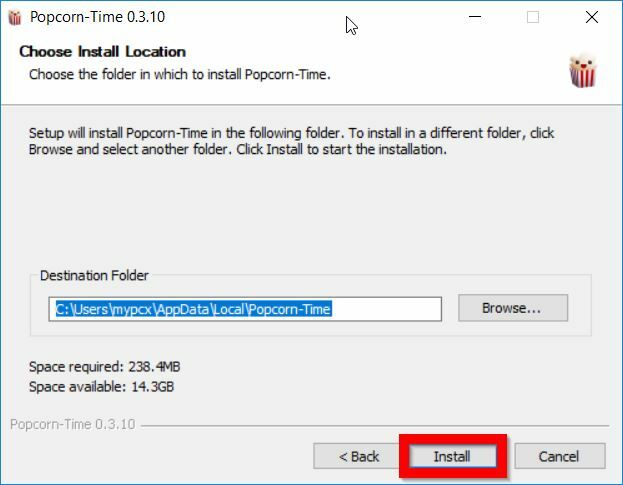 Now that the Popcorn Time Windows 10 app is installed, simply use Popcorn Time by following the How to Use Popcorn Time guide below! 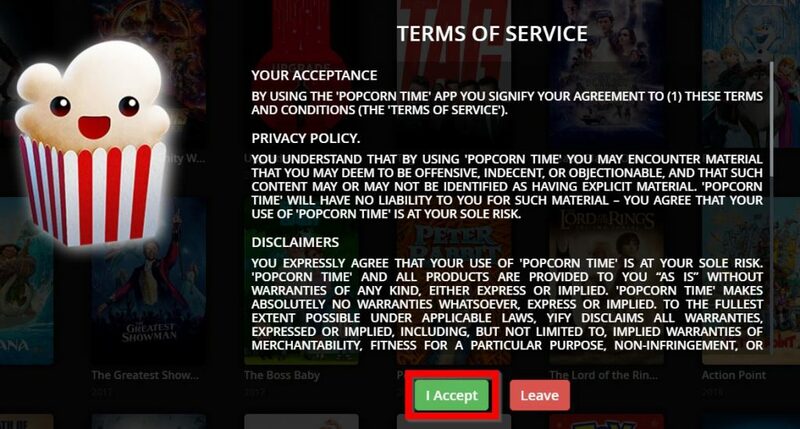 There are a few main ways to use Popcorn Time. 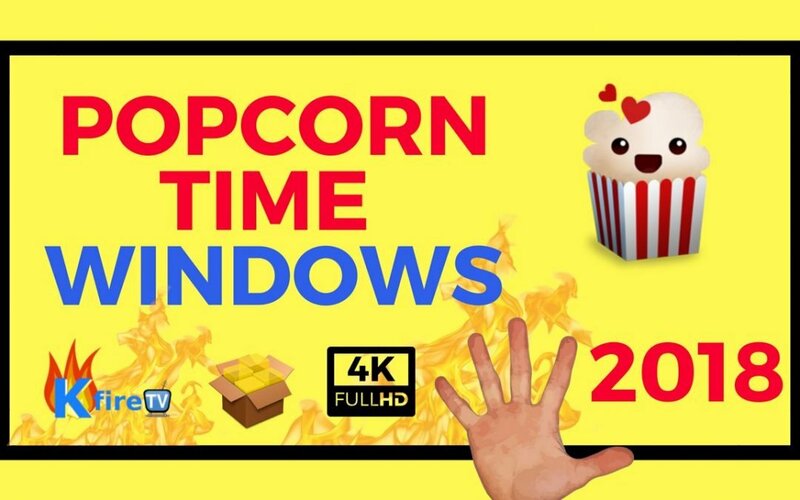 The easiest way to start using the Popcorn Time Windows 10 app is to just click on a movie that’s in the Popcorn Time home screen. The main menu of Popcorn Time has several buttons: Movies, Series, Anime, Indie, Genre, and Sort By. Movies: The Movies button is a shortcut to display only movies! Series: This button quickly shows you all the TV Series that Popcorn Time has to offer. 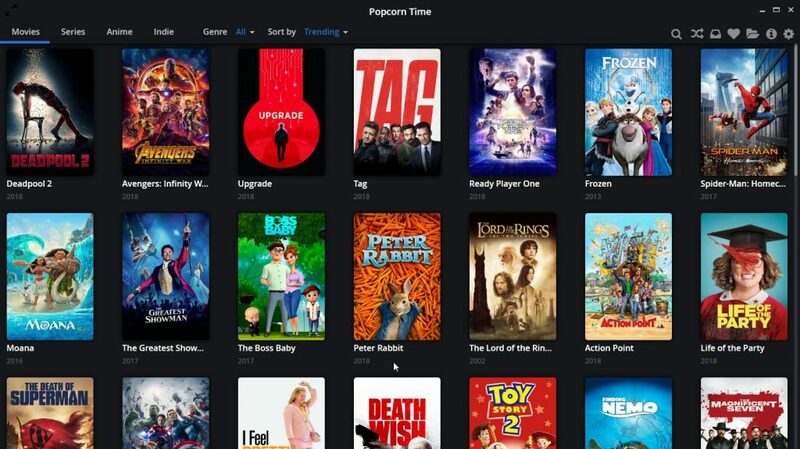 Sort By: This dropdown menu allows you to change the way in which Popcorn Time sorts the streaming TV & movies results displayed on-screen. Popcorn Time for Windows has a menu on the top-right side of the screen. We call this the Popcorn Time side menu. 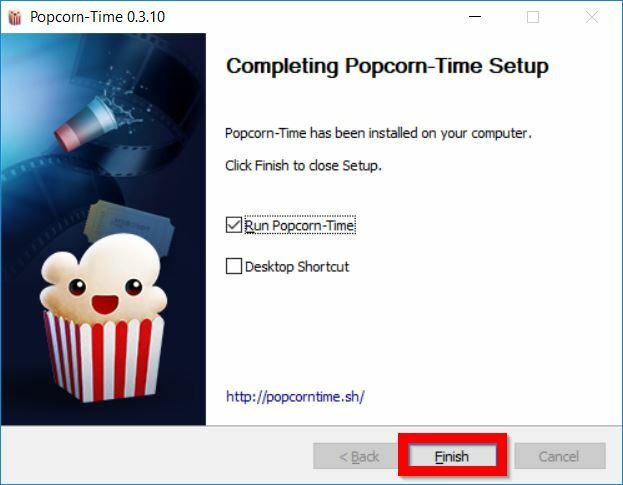 An alternate method to run Popcorn Time on Windows is to install an Android emulator in Windows – then run the Android version of Popcorn Time in Windows. 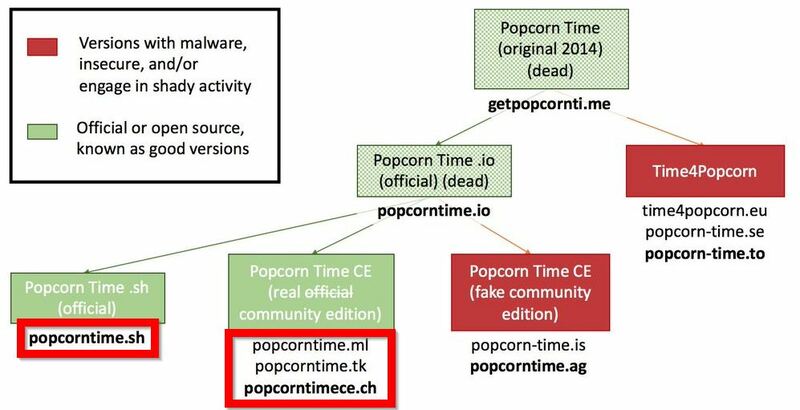 As you can see in the image above, only a few website provide the real version of Popcorn Time. Choose wisely! Yes! Popcorn Time exists for Mac computers. To download Popcorn Time for Mac, enter https://popcorntime.sh/en/mac into your Mac computer’s web browser (Safari). 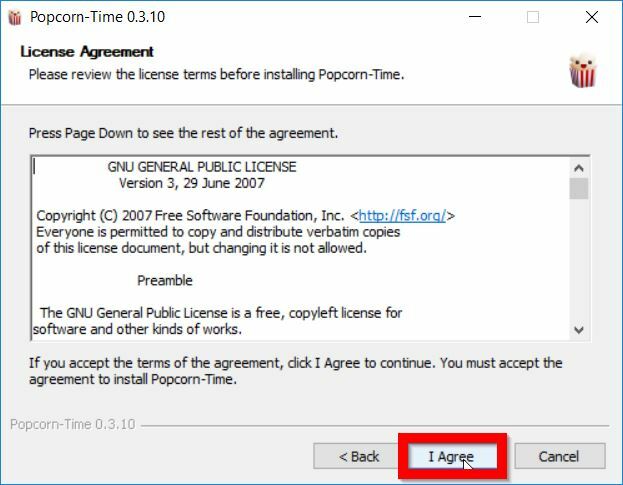 To download Popcorn Time for Linux, enter https://popcorntime.sh/en/linux into your Linux computer’s web browser. For the Android version of Popcorn Time, enter https://popcorntime.sh/en/android into your Android device’s web browser (which is usually Google Chrome).